Welcome to the era of web 2.0, where 88% of people trust online reviews just as much as personal recommendations. Consumers understand the impact that a negative online review can have on a business, and you better believe that they aren’t scared to use them. It’s just become a part of managing your social media marketing. Unfortunately, people are more likely to leave a bad review when a product or service doesn’t meet their expectations, than when they are pleased with the product or service. 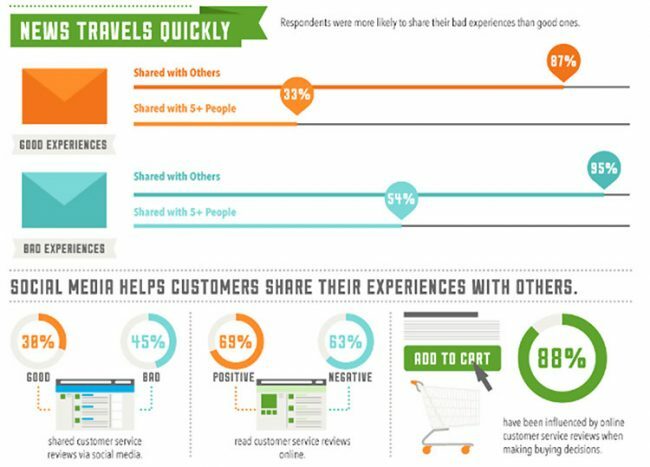 If you look at the research provided in the following infographic, you will notice 45% of consumers will use review sites when they’ve had a bad experience in comparison to only 38% of people who will leave positive reviews when they’ve had good experiences. What should you do if you get a negative review on Facebook or Google? Luckily, we have first-hand experience in completely removing them, and we’re here to tell you exactly how we did it. Single star reviews can leave you angry and frustrated. Relax, and don’t let these feelings get the best of you. It’s important that you take off that business owner hat you are wearing, and put on your customer hat. In other words, think about how you would want to be treated if you were left unsatisfied by another company. Close your eyes, and dig deeper into your busy brain. Think about a time when you have been upset, and a company completely won you over by the manner in which they resolved your issue. Now that you’re relaxed and filled with good intentions, open your eyes and let’s get to work! To protect the identity of our client, we’re going to rename them to Client A. Client A is a relatively new online business who has only been operating for the last five months. In this case, the customer had placed an order on their website for the first time and assumed an attachment was included with the product they ordered. It should be noted that this product is somewhat time-sensitive in nature. Although the customer received their order in just a couple of days, they were very upset that it didn’t include the attachment and proceeded to leave 1-star reviews on both Google and Facebook. Since Client A was a relatively new business, they only had a handful of reviews on both websites. Therefore, this single negative review greatly impacted their overall business rating. Luckily, Client A was enrolled in our reputation management service which allowed them to be notified immediately of the negative review so that we could put a process in place to try to get it removed. However, in this case, Client A took matters into their own hands by responding to the customer by telling them that they could purchase the attachment they were missing for an additional cost and that they would ship it out immediately. While an honest and straightforward response, unfortunately, this just further upset the customer, making matters worse. In attempts to put out the fire, the MARION marketing agency dug into both reviews to better understand where the customer’s pain points were. We then proceeded by going through the motions on the website to relive the customer’s experience. In doing so, we discovered that the website did not make it clear that the attachments are not included with the item. Although there was a separate listing for the product attachment, it was listed in a small corner during the checkout process and could have easily been missed. By understanding the customer experience, we were able to come up with the perfect resolution plan. Client A followed our plan by first calling the customer, and sincerely apologizing to them while letting them know that the company was relatively new and that they truly appreciate the feedback. Although the feedback was negative, it gave them the opportunity to learn what areas of the website needed improvements. From there, Client A offered to ship the customer the attachments, next day shipping, free of charge while mentioning to the customer that they hoped that they would consider removing the reviews as soon as they received the attachments. Fortunately, the customer received the attachments the following day, and not only removed his previous 1-star reviews on Facebook and Google, but modified them to be 5-star reviews! Due to this customer feedback, several adjustments were made on the website including a mandatory button asking if you need attachments for the products before checking out. Although there is no real way to just remove negative reviews from Facebook, Google, or other review sites such as Yelp, negative reviews should always be treated as an opportunity. Although it can be hard at times to take off your business owner hat, you should always put yourself in the customer’s shoes before forming a resolution plan. 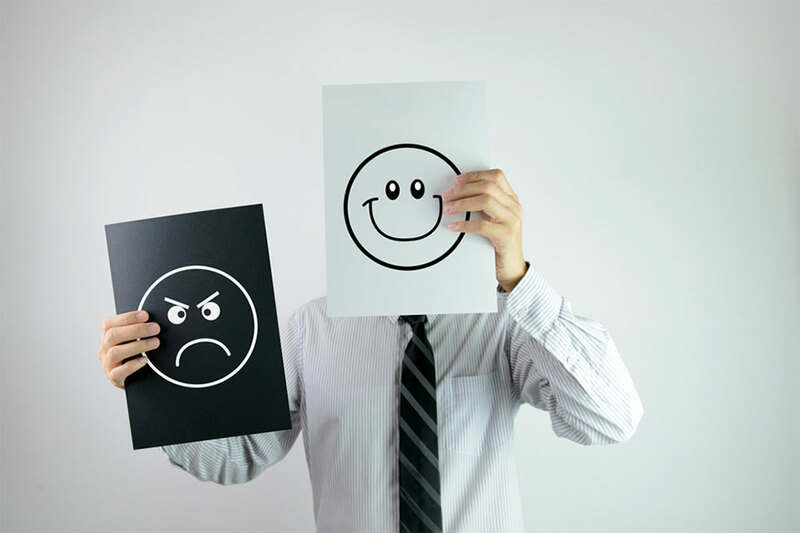 Additionally, dealing with negative reviews is a great opportunity to gain insights into your business, especially for those businesses who might not have the budget for conducting user experience testing or focus groups. When you can formulate a resolution plan along with providing great customer service, you’re not only removing a negative review but potentially replacing it with a positive review, which will increase your overall rating. Although you may not be the type of person who is social media savvy, we’ll put this into business terms you’ll appreciate. A one-star rating increase can result in a 5-9% increase in your revenue. When you have access to MARION’s reputation management services, we actively ask your customers about their experiences with your business. For customers who report having a negative experience we forward them to your customer service team to ensure that they are taken care of before potentially leaving negative reviews on a public website. Alernatively, customers who report having a great experience are provided links to relevant review sites and asked to leave reviews. According to Search Engine Land, 70% of consumers will leave a review for a business when asked. Isn’t it time you started turning your complaints into gold?